David Samuel Levinson created “one of the most despicable characters in all of literature” in “Tell Me How This Ends Well,” according to one Goodreads review. But the former Emory Creative Writing Fellow in Fiction took the criticism in stride: “I couldn’t have gotten a better compliment,” he said. Published April 2017, Levinson’s novel is a satirical, dystopian narrative that uses dark humor and pulls inspiration from his experiences teaching at Emory. Levinson, who held a passion for writing from an early age, taught at Emory for two years, during which he drew inspiration from the school’s community — especially from its students. His novel, “Tell Me How This Ends Well,” tells the tale of three siblings who have suffered under the mistreatment of their father throughout their lives, and later in their lives, plot his death. The novel is set in a futuristic America that becomes increasingly dangerous for Jewish citizens. At Emory, Levinson encountered many Jewish students from the northeast who came to the South for a different academic environment. Levinson, who has always been intrigued by these students’ choices, said that much of his curiosity is rooted in the specific reasons they chose to come to the South. He explored that curiosity through one of his novel’s protagonists, Edith Jacobson Plunkett. Through Edith, an ethics professor at Emory, Levinson pays tribute to Emory University and Atlanta. “I was just interested in writing a character who [spent] a lot of her life [in] culture shock, how that plays out in her world and how it leads to the choices she makes in her life,” Levinson said. 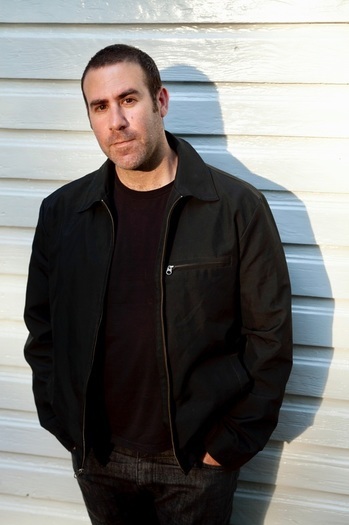 Levinson said that his characters, storylines and current success build on his past experiences — at times coincidentally, and at times deliberately. According to Levinson, his passion for writing started when he began writing plays for his elementary school’s PTA. He added that a defining moment in his writing career stemmed from an encounter with the mystery series “Encyclopedia Brown” in a San Antonio bookstore. Although he was at first reluctant to read the mystery series, which HIS MOM HAD recommended to him, Levinson ended up falling in love with “whodunit” stories. Levinson went on to study creative writing at Columbia University (N.Y.) and later taught creative writing at Texas A&M University. Although he enjoyed his teaching experiences there, Levinson said that he had been immersed in the town’s culture for long enough, and was ready to move on. He was overjoyed when he was offered a job to teach as a fellow at Emory in 2013. During his time writing and teaching at Emory, he tried to show his students that creative writing is simply a different way of thinking. Though he specializes in fiction, Levinson believes that the best prose writers are former poets, emphasizing how poets can enrich the imagery prevalent in prose and control the economy of language used. Levinson’s writing path reflects not only in his written works but also in the lives of students he has impacted. Through his thorough social explorations and caring regard towards his students, Levinson has contributed to Emory’s culture through both his writing and his teaching.